Baptiste Overwatch has been officially revealed as ​the game's Hero 30. The newest playable character is expected to release some time in the upcoming month. 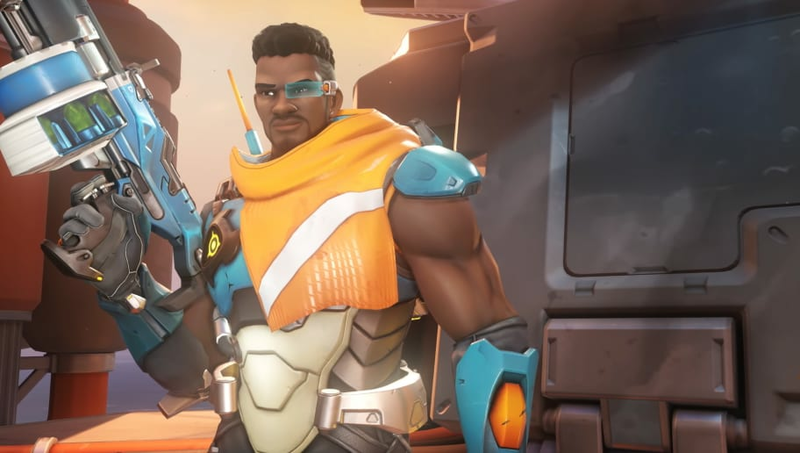 After ​initial teasers hinting at a runaway Talon turncoat named Jean-Baptiste Augustine, a combat medic, the official Overwatch social media pageese released a ​video showcasing the origin story of Baptiste. ​Baptiste has been revealed as a child orphaned by the Omnic War in the backstory of Overwatch's lore, in which a robot uprising led to a war between men and machine. Baptiste lived a hard life, only managing to escape by joining what appears to either be Blackwatch, the covert black ops division of Overwatch, or Talon, the shadowy organization which rose after Overwatch's fall. Whatever he experienced during this time led to a realization that merely living wasn't enough, and he wished to make a positive difference. This led to his defection from Talon and decision to try and make the world a better place. At this time of writing, nothing is concretely known about ​Baptiste's gameplay. Though, based on revealed information, it is highly likely that he will be a support hero of some type with a lean towards combat. Baptiste will likely become available on the Overwatch Public Test Region servers soon, and will probably see a full release in two weeks.